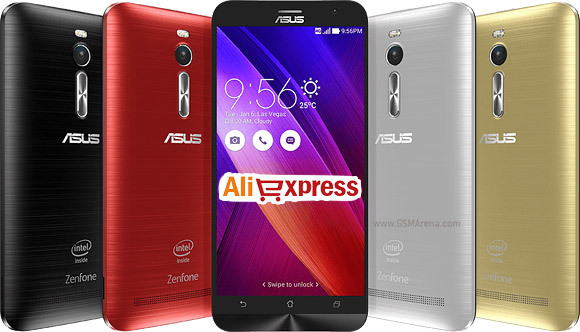 The Asus Zenfone 2 was announced at CES in early January and while it's still not available, you can pre-order it on AliExpress. Both versions – with 2GB and 4GB RAM – are available though the pricing is different than what was originally expected. The 2GB Zenfone 2 with a 1.8GHz quad-core Intel Atom processor is priced at $300, while the 4GB one with 2.3GHz processor costs $440. The first model was announced at $200, so that's a little disappointing. We have to wait other retailers to put up their pre-orders to find out if Asus changed its mind on the pricing. Clove UK has a pre-order page, but no price in sight. Same with Orange South Africa. The official Asus Twitter account maintains the phone will cost $200, so we'd hold off on committing more money for it. Aside from processor and RAM options, the Asus Zenfone 2 comes with a 5.5" 1080p screen, runs Android 5.0 Lollipop, has a 13MP/1080p main camera and 5MP selfie camera, plus it's an LTE-enabled dual-SIM. There might be a mid-range 5" version on the way too, but that hasn't been confirmed yet.